Nope, your eyes aren't deceiving you. 'The Lone Ranger' is my top pick for this week. In case you hadn't heard, this film was a major flop this summer, getting shunned by critics and audiences alike. Well, I clearly disagree as I found it to be one of the most enjoyable films of the year. Based on an old radio series, this western features Armie Hammer the title character and Johnny Depp as his sidekick Tonto. Teaming up to exact revenge on the man who killed the Lone Ranger's brother, they embark on an adventure through the wild west. What follows is a messy chutzpah that really shouldn't work (and many would say it doesn't), but somehow I found it very entertaining. Perhaps my positive response to the film is based on my experience watching 'Hansel & Gretel: Witch Hunters' the day before. By some strange stroke of fate, 'The Lone Ranger' came along and justified every problem I had with that film. It's perhaps easier to understand my contrarian opinion then, by doing a comparison between the two. Firstly, I found "Hansel & Gretel" to be very uninspired and plain, but this film definitely had a vivid style. It's often hard to ascertain how certain films accrue such massive budgets, but it's very apparent here. The $215 million budget is all there on the screen, with outstanding production design, makeup, costumes and visual effects. While "Hansel & Gretel" struggled to establish its tone, "The Lone Ranger" was very consistent with its frivolity. This film uses classic screwball sight gags and audacious stunts that evoke nostalgia for the comedies of Hollywood's Golden Age. I remarked on the ineffectiveness of the R-rated content in "Hansel & Gretel" and this is a great example of the creativity that can still arise out of PG-13. For example, the villain is no less intimidating (he even eats someone's heart!) than Famke Janssen's over the top shenanigans. In general, the danger is just as palpable, maybe even more so. In terms of the humour, I found this to be much funnier too. Depp's deadpan delivery, quirky antics and his "buddy cop" chemistry with Hammer were fantastic. The same can't be said about the leads (Jeremy Renner and Gemma Arterton) in "Hansel & Gretel", who suffered from unspecific characterizations. In the end, I would certainly admit that the script needed some fine-tuning but those strong points left me mostly satisfied. These elements came together best in my favourite moments of the film - the action sequences. The big setpieces here were just so much fun that I couldn't help but ignore the film's flaws. If modern blockbusters are all about the spectacle, then I definitely got my money's worth. Good review Shane. I disliked this to the high heavens, but I definitely can see why it would have its fan-base. Especially you yourself. I totally understand why people wouldn't like it, but I found its strong parts very likable. 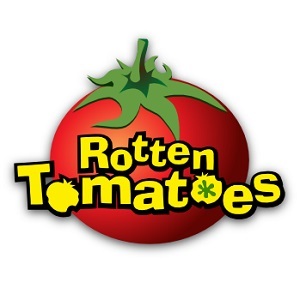 I haven't seen The Lone Ranger yet, so take this comment with a grain of salt, but I think the film needed to fail financially. 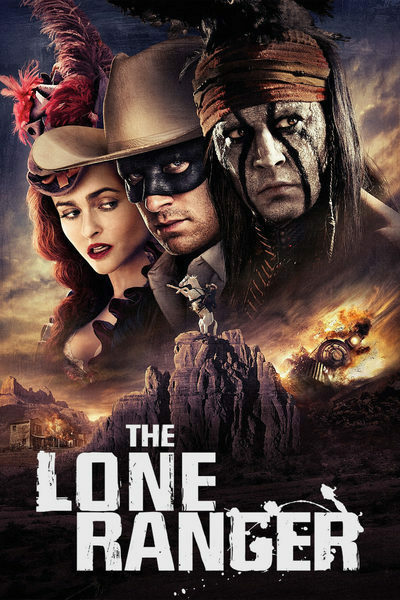 The Lone Ranger strikes me as the type of film that gets so burdened by its expectations and troubled production history that those factors become the bulk of the film's reception. But when given distance from its release, when the film can be judged on its own merit, it turns out to not be the cinematic apocalypse it was originally perceived to be. It sounds like it was a blast. Great review Shane! Yep, you're right. I think over time people will come to appreciate it more when the box office talk has died down. I'm very much in the minority though, so you may very well hate it yourself! Thanks for the comment.